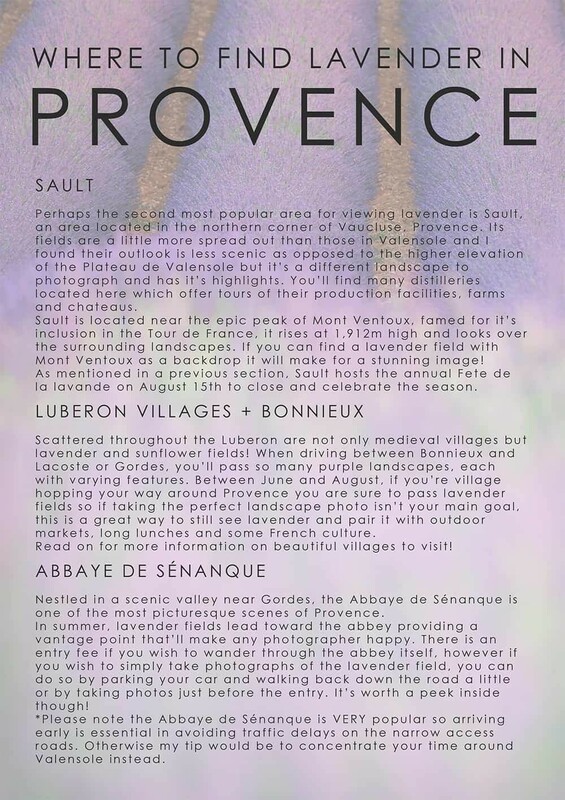 Your guide to the most photogenic lavender fields and villages of Provence, France written by professional photographer, Lisa Michele Burns. Where fields of purple lead toward the setting sun, turquoise lakes flow into towering gorges and cobbled streets of medieval villages await your arrival. 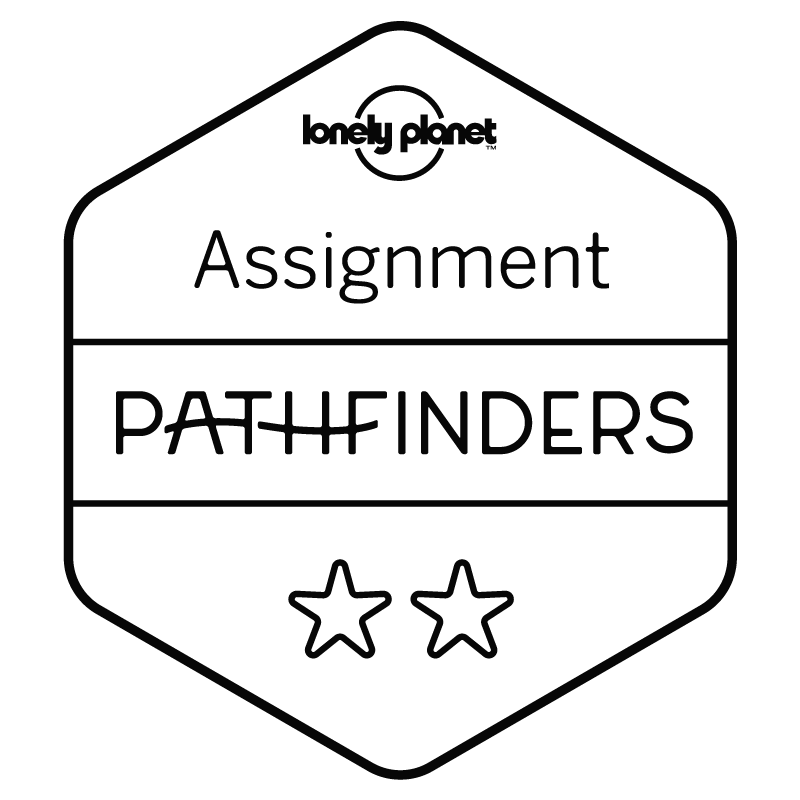 I called the historic Aix-en-Provence home for two years and this guide is a result of weekend wanderings, aimless road trips and months of research seeking to find the most scenic locations for photos. 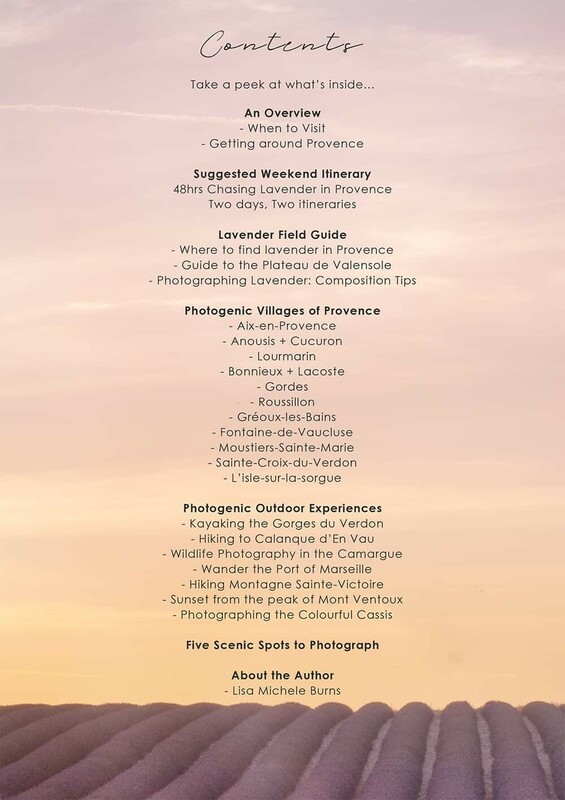 Compiled for visiting photographers and travellers, within this guide I’ll reveal some of the most photogenic lavender fields, outdoor experiences and villages to explore throughout Provence. 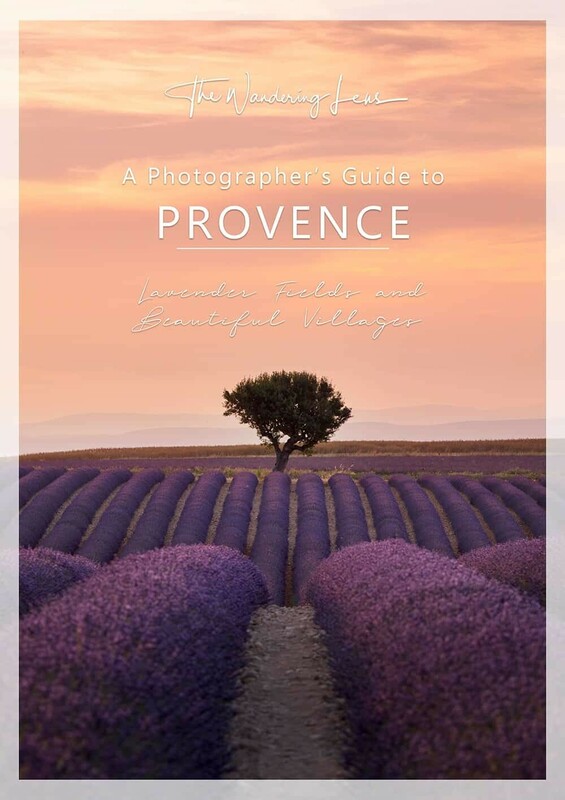 The 48-page guide is filled with coordinates to the most photogenic fields and villages along with photography tips, access to maps and a two day itinerary to follow while you’re in Provence. 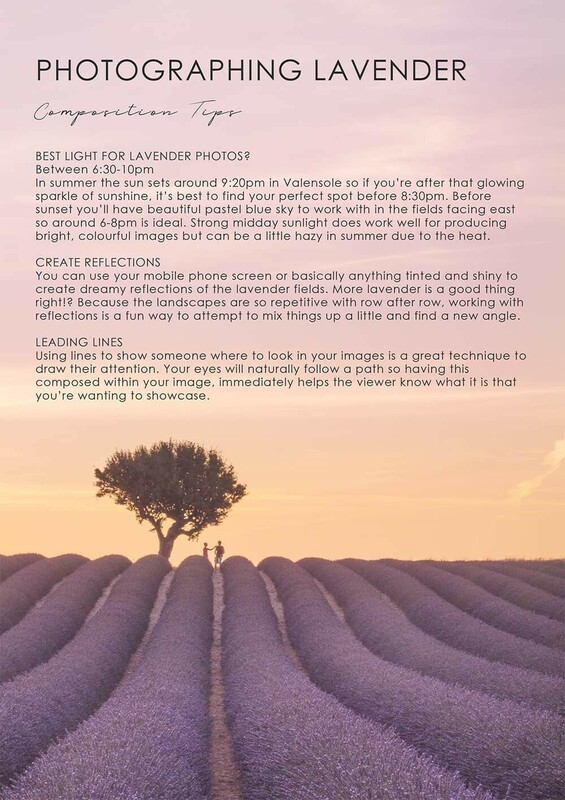 It lists where the photogenic lavender fields are on the Plateau de Valensole, vantage points in some of the beautiful medieval villages throughout the region and notes photogenic experiences and outdoor adventures to have during your stay in Provence. It’s essentially a little tour guide of inspiration to have in your pocket or stored on your phone to ensure your time in Provence is one you’ll never forget and that you’ll of course leave will a collection of beautiful images. If you’ve only got a short time in Provence, this guide will help you decide where to go and when. 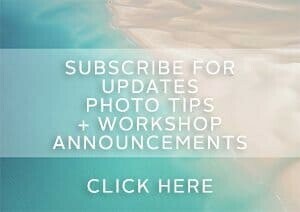 Love landscapes? 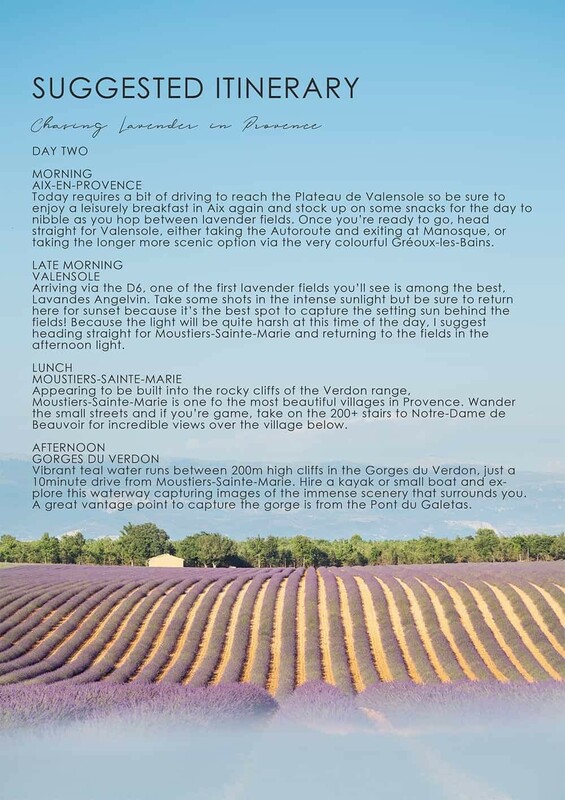 Head straight for Gorges du Verdon and the Plateau de Valensole! 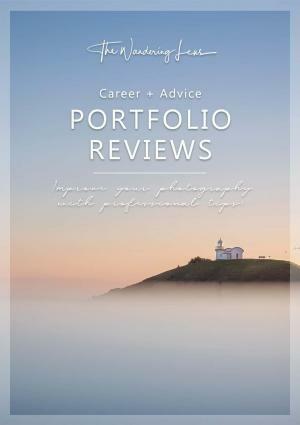 More of a cultural explorer and love photographing details like window shutters and colourful doors? Lourmarin or Roussillon should be high on your list. 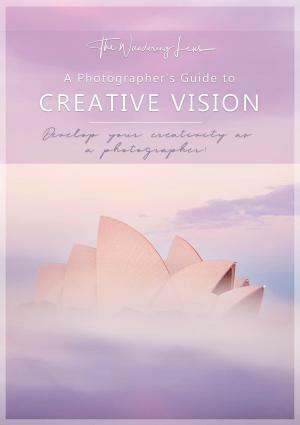 This guide is written from a photographer’s point of view. 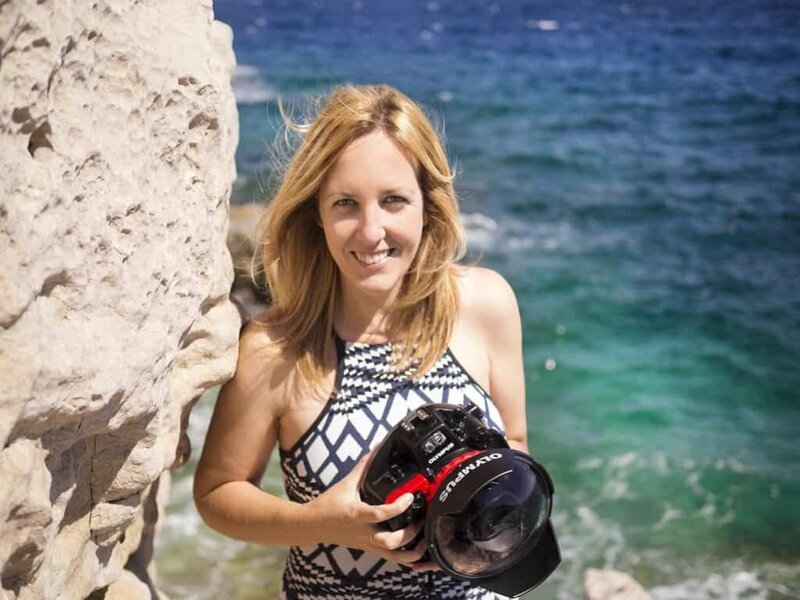 It’s aimed at sharing where the best spots are to take photos for people visiting who get a little snap happy. If you’re hoping for historical notes, advice on museums or great places to try French cuisine, this isn’t the guide for you. Although I do list some great places to have a picnic!